Well, once again, the American retail sector has been collapsed with stores and malls closing around the country at breakneck speed. Where Walmart effectively functioned as an F5 tornado for small rural communities everywhere, Amazon is rapidly morphing into a Cat 5 mega-hurricane—NATIONWIDE. Amazon went from a company that did not make a cent for many years and literally operated at a loss, to becoming “the most valuable public company in the world after passing Microsoft” in 2019. 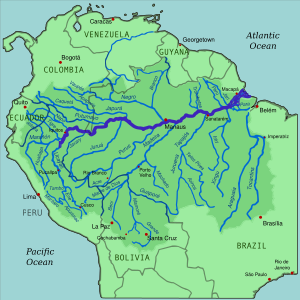 In point of fact, the Amazon River is the longest river in the world as well as the largest by discharge volume of water. Its tributary system of rivers and streams and rivulets is the most complex and convoluted on the planet. It’s pervasive and profound impacts on South America is greater than any of the other major rivers on any other continent. Not only that, but Amazon’s business model was set up and structured from the get-go as an octopus innervating and interpenetrating every segment of the corporate sector. This is how Amazon is being used to monitor and control much of Corporate America. 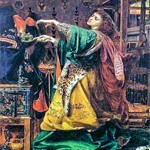 Just like the gargantuan Amazon River snakes through the northern half of South America as it numerous tributaries profoundly affect everything in their path, the enormous Amazon.com platform exerts influence far beyond Internet commerce. The bottom line here is that Amazon can act like the 800-pound gorilla, who sits anywhere it wants to, because it was made that way. Just watch the drama being acted out in New York City with the withdrawal of Amazon’s proposition to set up shop there. What a complete joke… on everyone except Deep State. The hidden back story to that AOC debacle in NYC is that it’s all Kabuki theater being deliberately staged so that every community in United States is aware that Amazon is very serious … and not to be messed with…by anyone. They will always get what they want because it’s a full-blown government-corporate operation. 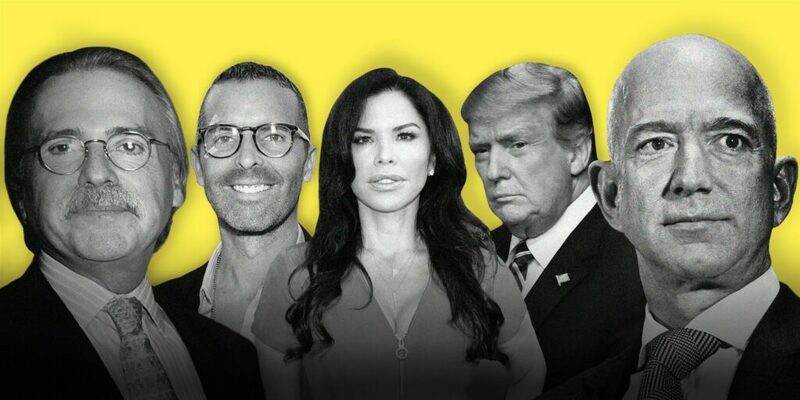 Now see stage right and the melodramatic Jeff Bezos–Lauren Sanchez “Peyton Place” being staged with maximum effect. In this case, the wife is the real covert CIA operative who everyone is missing. Not only was she the real brains behind Amazon, she’s also the handler—Bezos’ handler. See exactly how this is done at the link below. Anyone who thinks that MacKenzie S. Bezos is just an innocent girl being pushed out of her marriage to billionaire Bezos ought to consider the true MO behind every major start-up that is born in a DARPA lab. By the way, how does a guy like Jeff Bezos come to own the primary organ of the CIA’s Mockingbird Media … … … except by purposeful design—EXTREMELY PURPOSEFUL?! Likewise, how does Amazon come to take over the cloud computing market in a day and a night? Talk about a major Big Brother move to lock down the cloud space! Now Amazon is going after logistics: Amazon took over the $176 billion market for cloud computing. Now it’s using the same playbook in logistics. All of these enormous moves throughout Corporate America reflect the covert scheme to significantly concentrate corporate power and influence in the hands of just a few corporations as well as a few company CEOs /presidents / business magnates. Even the main metrics gauging the success of the markets indicate that, in 2019, it all comes down to the AAAA — Amazon, Apple, Alphabet, AT&T — as well as Walmart, Microsoft, Facebook, Exxon Mobil, and a few other corporate behemoths that were also set up as government-corporate enterprises from the very beginning. The real problem that emerges time and time again with all of these corporate monsters is that they eat everything in sight so that they can monopolistically control the marketplace—EVERY MARKETPLACE, either directly and/or indirectly. However, it’s the marketplace of ideas and innovation that really suffers at the hands of these CIA-controlled control freaks. Who does not see the draconian control that Big Social Media currently exerts on our freedom of speech? 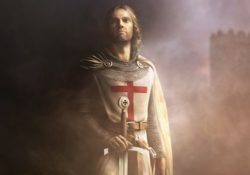 Both Facebook and Twitter shut down anyone’s voice they care not to hear, as does the ever-censoring Google. 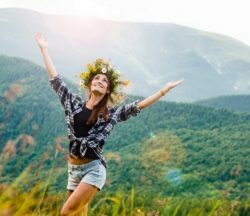 What follows is just one chilling example of the way that Amazon is being used to terminate any and all dissent in the USA against the detrimental and sometimes deadly super-vaccination agenda. Now here are two other glaring examples of Amazon censorship that ought to concern every reader in America. And, this pattern is only getting more frequent and audacious by the month, just as Facebook and Twitter are recklessly terminating user accounts right and left for doing nothing but exercising free speech. Everything points to the Bezos family as being one of those C.I.A. families that goes back generations. The is the type of family who will take orders from TPTB and unquestionably carry out those orders no matter what the consequences to people and planet. In and of themselves, they wield no real power, but are wittingly used as agents of Deep State and operatives of the U.S. Intelligence Community—24/7. In this regard, Bezos is nothing but a C.I.A. contractor whose main job is to expand and solidify the reach of The Company (as the C.I.A. is known in intelligence circles) worldwide. Pretty soon Amazon will be as pervasive and powerful, internationally, as Walmart is and as Coca Cola once was on the ground. KEY POINT: Very few really understand but the primary reason why the C.I.A. is called The Company is because they [COMPLETELY] control Corporate America. You can’t even become a corporate CEO and/or President without being a card-carrying CIA agent or contractor. 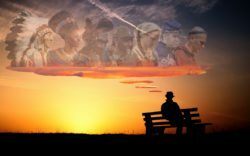 The Fortune 1000 companies are populated with so many CIA spooks in top management that they can be counted on to carry out the CIA’s multifarious covert agenda(s), both domestically and internationally. The very nature of the publicly held or publicly traded corporation is such that as soon as it goes public and shares can be traded, the influence of its original owners and founders and officers is immediately diluted to the extent that it is owned by outside CIA-chosen shareholders. Whenever the C.I.A. wants to take over any particular corporation, they merely buy their stock, bonds and every other publicly traded security. Then they dictate who the Board of Directors will be, who then approve the carefully selected and compromised top management and their compensation packages. 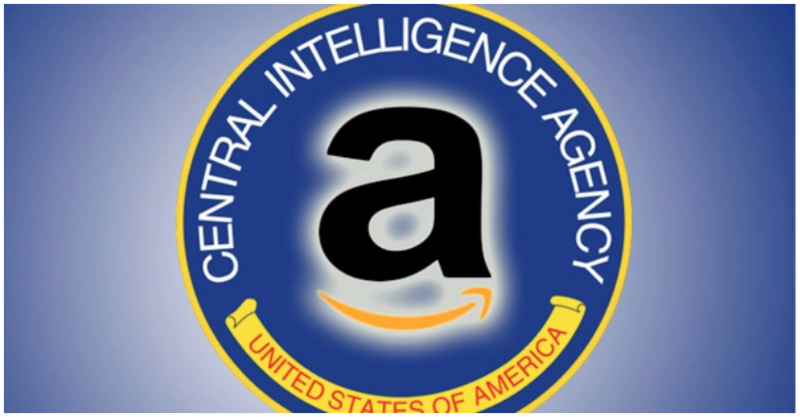 There has been no greater public collaboration between the Central Intelligence Agency and a US-based corporation than that of Amazon and the C.I.A. The number of HUGE joint projects that have been made public is both unprecedented and alarming. That the world’s largest online retailer would be so closely associated with the C.I.A. is a reflection that Deep State really doesn’t care what the American people think anymore. They don’t even care if citizens are asking: Is Amazon Echo a CIA listening device? 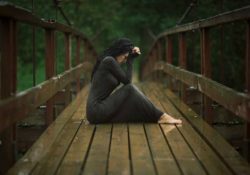 What makes this quickly evolving partnership so dangerous and distressing is that there is a fake shine put on these state-corporate entities that so many wants to be a part of. In this way, people are in awe of these corporate Frankenteins, instead of being extremely wary of them. Which begs the question: Just how much has the CIA collaborated with AMAZON to change American intelligence gathering? Which demands further investigation into this inquiry: “What’s the CIA Doing on Amazon’s Cloud?”. Surely, there are many more inquiries that need to be made post-haste into these various joint projects that will profoundly affect each and every one of us in the future. 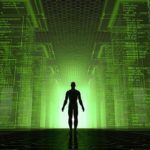 What is beyond dispute is that the Amazon.con has morphed into one of the largest data-mining operations in world history. Some folks spend all day long there shopping and leaving comments and flipping from video to video, book to book and audio to audio. Each of these past-times creates more data that is undoubtedly captured and stored and analyzed in ways that only the C.I.A. can do. What’s of paramount importance to comprehend is that the CIA, NSA and DIA are at the hub of this global intelligence-gathering operation. Amazon, Google, Facebook, Twitter, Apple, Microsoft, Instagram, Snapchat, etc. are continuously feeding their stealthily collected data to the government, as well as to other buyers of the data who then use it in highly manipulative ways. Wow—what a complex and convoluted scheme to strip the citizenry of their privacy, and yet how many folks know about the sheer depth and breadth of it? With this critical understanding, Amazon was intentionally created to centralize much of the nation’s retail buying and selling power in one company. 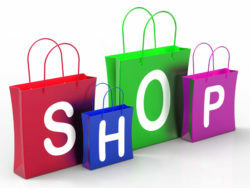 The world-famous Amazon website is not only a one-stop shop for everything under the sun, it establishes a digital record of every buyer’s purchases and other online habits. To say that a highly detailed social profile is also being established would be a gross understatement because a LOT more profiling is being accomplished with every visit to their site. However, it’s the raw state power to unlawfully censor that is of greatest concern to a free and open society. In this regard, when Amazon throws its weight around, We the People get crushed without recourse. 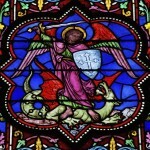 And, the government will not so much as raise a finger in the defense of the First Amendment or any other lofty principle or God-given right. After all, Amazon is wholly owned and operated by the secret government entities that are virtually impossible to identify and, therefore, difficult to check. This is the rubric under which the whole of American society is really governed and controlled; it’s a fascist corporatocracy where the corporate sector is joined at the hip with the government…but no one really knows about the criminal collusion except a few power-players at the very top. In light of these crucial revelations, how does one make sense of the most captivating soap opera in the history of Hollywood? Remember, the C.I.A and Hollywood have always been joined a the hip as well. They’re experts at creating spectacles that distract and deceive, divert our attention and misdirect. Even The New York Times has labelled the “Bezos affair and divorce” the biggest VIP melodrama ever to have entranced so many watchers around the world. Even the star of the show — Jeff Bezos — seems to revel in his new roles as both screen star (smartphone) … and lawyer. See: What in the world is really going on with ‘Jeff Bezos, Esq.’? Truly, this whole Bezos affair makes “DALLAS” look like the “FLYING NUN”. You really can’t make this stuff up; unless, of course it’s been scripted by Hollywood’s best and brightest CIA contractors, which it has. However, there is a highly radioactive political back story here. That story concerns Donald Trump and Jeff Bezos, the C.I.A. and the Trump organization, The Washington Post and the National Enquirer. And, “Yes!”, it has a lot to do with the fact that C.I.A. Pawn Jeff Bezos Uses WashPo to Smear Political Opponents of Deep State. But what’s the real back story here? That will be covered in a future article because the vital point of this piece is much more essential to understand. In the meantime, there are many sordid details in the link below that will help the armchair sleuth to piece this intel puzzle together. We’ve got some very serious problems with the way that Amazon has taken over so much of American society. What’s especially concerning is the way that the growing Bezos empire has arrogated so much power unto itself so quickly, particularly during the lawless Obama years. When headlines read like this: Trump Leak Now Points To Bezos’ Hidden $600M Deal With Obama CIA To Feed Washington Post, you know we’ve got BIG problems. 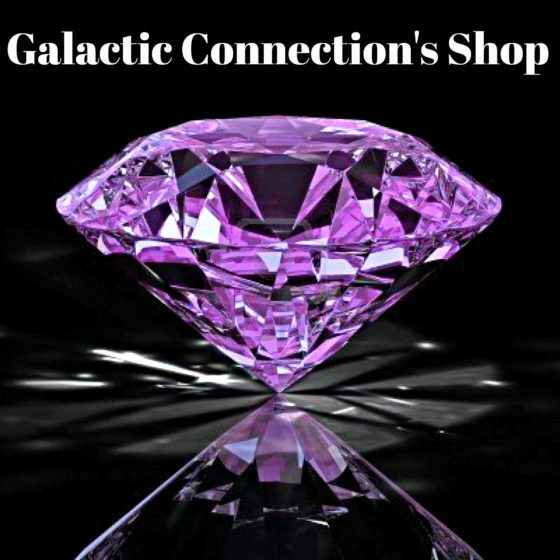 That a retail website could develop so many corrupted and compromising inter-relationships throughout the intel community makes one wonder what Deep State has put into place over several decades way under the radar. At the end of the day, Amazon is just one more fascist entity that will have to be decisively dealt with… before they deal US out of everything we hold sacred and important to the American way of life. Oh, and by the way, almost every employee of Amazon will tell you that working there is like working in the Third Reich, where the Bezos-directed “Gestapo” is running the show from behind. Amazon is building a cloud for the intelligence community that could bridge the sort of gaps that preceded the 9/11 attacks. The vision was first outlined in the IC Information Technology Enterprise plan championed by Director of National Intelligence James Clapper and IC Chief Information Officer Al Tarasiuk almost three years ago. Cloud computing is one of the core components of the strategy to help the IC discover, access and share critical information in an era of seemingly infinite data. The critical question was would the IC, led by the CIA, attempt to do cloud computing from within, or would it buy innovation? Money was a factor, according to the intelligence official, but not the leading one. The government was spending more money on information technology within the IC than ever before. IT spending reached $8 billion in 2013, according to budget documents leaked by former NSA contractor Edward Snowden. The CIA and other agencies feasibly could have spent billions of dollars standing up their own cloud infrastructure without raising many eyebrows in Congress, but the decision to purchase a single commercial solution came down primarily to two factors. A month after the deal became public, IBM filed a bid protest with GAO that the watchdog eventually upheld in June, forcing the CIAto reopen bids to both companies for the contract. A legal struggle between Amazon and Big Blue ensued, and AWS filed a lawsuit against the federal government in July 2013, claiming the GAOsustainment was a “flawed” decision. Many agencies within the IC already have identified applications to move to the cloud. In a recent report, National Reconnaissance Office Chief Information Officer Donna Hansen said her agency had picked five applications, including its enterprise resource planning software, to migrate to the IC cloud. As with public clouds, the IC cloud will maximize automation and require standardized information, which will be shared through application programming interfaces, known as APIs. Amazon engineers will oversee the hardware because AWS owns the hardware and is responsible for maintaining it just as they do in the company’s public data centers. The IC cloud “will be accredited and compliant with IC standards,” says a senior CIA official familiar with the IC cloud. It will, for example, be able to handle Sensitive Compartmented Information, a type of classified information. “Security in the IC cloud will be as safe as or safer than security on our current data centers,” the senior CIA official says. Because the IC cloud will serve multiple tenants—the 17 agencies that comprise the IC—administrators will be able to restrict access to information based on the identity of the individual seeking it. The idea is to foster collaboration without compromising security. Visually, the IC cloud can be thought of as a workspace hanging off the IC’s shared network—a place where data can be loaded for a variety of tasks like computing or sharing. The IC cloud gives agencies additional means to share information in an environment where automated security isn’t a barrier to the sharing itself. This could prove vital in situations reminiscent of 9/11, in which national security is an immediate concern. 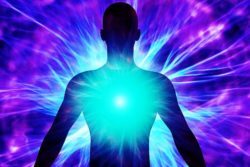 Pirc is no stranger to disruptive technologies. At the CIA’s research labs in the early 2000s, he recalls virtualization—a technology that allows multiple operating systems to run simultaneously on the same servers, allowing for far more efficient computing—before it became an integral component of many ITenterprises. Intelligence agencies use commercial off-the-shelf technology all the time, but to Pirc, the importance of the cloud capabilities the CIA gets through leveraging Amazon Web Services’ horsepower is best exemplified in computing intelligence data. Scalable computing is critical for fostering shared services and enhanced collaboration between disparate intelligence agencies. Solutions had to provide a “hosting environment for applications which process vast amounts of information in parallel on large clusters (thousands of nodes) of commodity hardware” using a platform called MapReduce. Through MapReduce, clusters were provisioned for computation and segmentation. Test runs assumed clusters were large enough to process 100 terabytes of raw input data. AWS’ solution received superior marks from CIAprocurement officials, according to GAO documentation, and was one of the chief reasons the agency selected Amazon. As the geospatial hub of the community, the National Geospatial-Intelligence Agency ingests, analyzes, metatags and reports all geo-intelligence and multisource content in its flagship program called Map of the World. Geospatial data’s importance to the IChas increased in recent years, as evidenced by NGA’s nearly $5 billion budget and its staff nearly doubling in size since 2004. For intensive applications like ingesting or analyzing geospatial data, scalable computing could have a significant impact on mission performance. 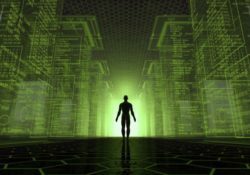 The cloud also could improve the way the agency shares its large data sets. 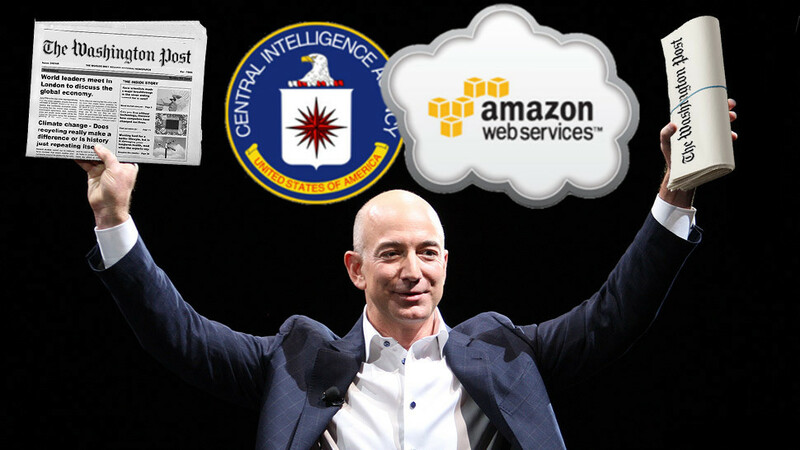 CIA and Amazon: the Mega Anonymous Source Machine? You Decide. 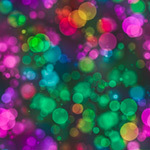 Connect the dots! Washington Post and their so-called anonymous sources. You do the math! January 15, 2017: Jeffrey P. Bezos, Amazon’s founder and owner of The Washington Post, moves into the same D.C. neighborhood of Ivanka Trump and Barack Obama paying $23 million in cash for a 10-bedroom mansion on S Street NW. February 23, 2017: Roughly ONE month after President Trump took office, Washington Post announces John Podesta joins as a contributing columnist. 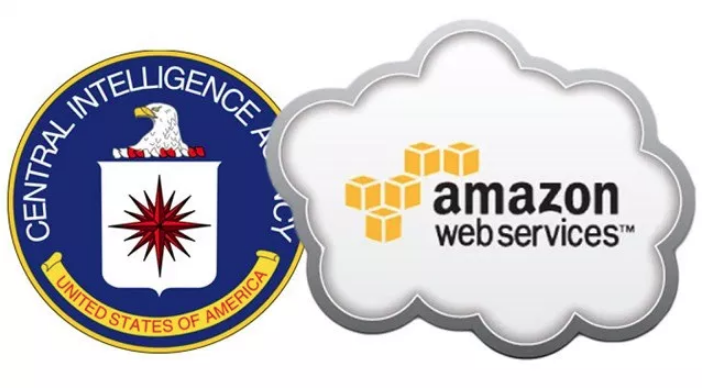 Should we be comfortable with a computing cloud developed by Amazon Web Services for the Central Intelligence Agency and over the services (all 17 agencies) that make up the intelligence community? It IS the brainchild of James Clapper and IC Chief Information Officer Al Tarasiuk. Doesn’t the “unmasking” fall under the CIA and International Intelligence? The dots, the sources, the leaks and the collusion are right under our noses! The connection between Amazon and the CIA causes me further concern with regards to the Amazon Echo. How convenient would it be to use Echo as a CIA listening device? Seems rather simple to me. 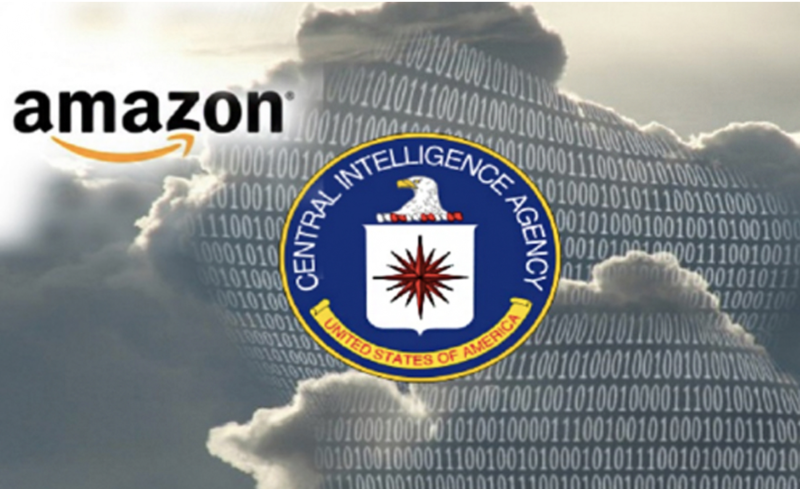 FLASHBACK: What’s the CIA Doing on Amazon’s Cloud? 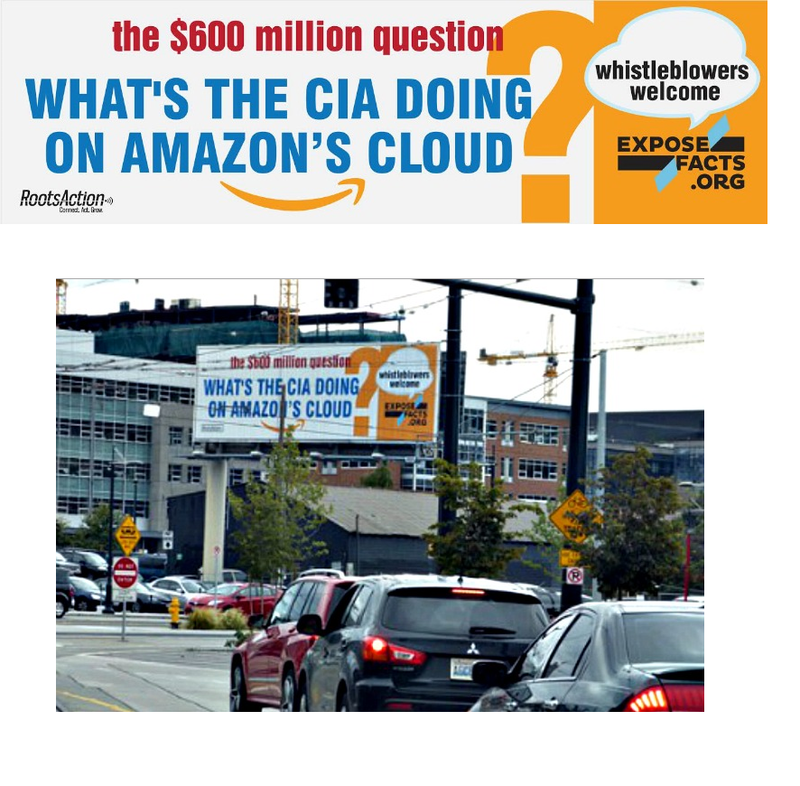 A billboard challenging Amazon to fully disclose the terms of its $600 million contract to provide cloud computing services for the Central Intelligence Agency has been unveiled at a busy intersection near Amazon’s Seattle headquarters. The positioning of the 48-foot-wide billboard on Amazon’s doorstep at Fairview Avenue and Valley Street in Seattle follows a RootsAction petition calling for Amazon founder and CEO Jeff Bezos to make a legally binding commitment to Amazon’s commercial customers that it will not provide customer data to the CIA. Amazon is the world’s largest online retailer. “The same company that stores vast quantities of customer records and even provides cloud storage services also stores the CIA’s surveillance data — yet the actual terms of the Amazon-CIA agreement are secret,” said Norman Solomon, executive director of the Institute for Public Accuracy and a co-founder of RootsAction.org. To see the billboard, click here. 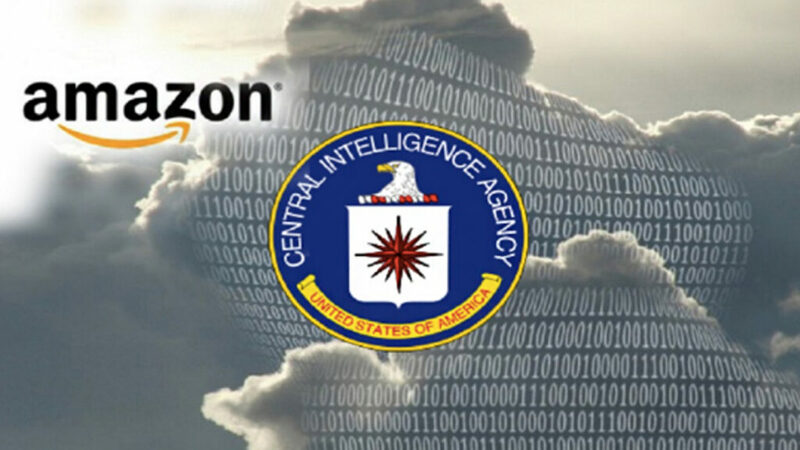 In hosting a huge computing cloud for the CIA’s secrets, Amazon now has “a digital place where data for mass surveillance and perpetual war are converging,” he added. The CIA is responsible for numerous war-related programs including drone strikes. Marcy Wheeler — who writes widely on the legal aspects of the “war on terror” and its effects on civil liberties including her “Right to Know” column for ExposeFacts.org — said Wednesday that Amazon should answer a number of key questions before its customers and the general public can be assured that personal information from the company’s commercial operations is not finding its way into the CIA’s hands. After Amazon Web Services was awarded the $600 million cloud contract last year, Amazon declared: “We look forward to a successful relationship with the CIA.” Industry experts have said this contract will likely open the door for Amazon to get more cloud contracts from other government spy and military agencies — hardly a reassuring prospect for the privacy of Amazon’s customers. Wheeler writes widely about the legal aspects of the “war on terror” and its effects on civil liberties. She blogs at emptywheel.net and writes the “Right to Know” column for ExposeFacts.org. Solomon is the author of many books including War Made Easy: How Presidents and Pundits Keep Spinning Us to Death. He is the executive director of the Institute for Public Accuracy and a co-founder of RootsAction.org.